I've recently finally got my skin under control, after having acne and dry skin for years. I've found a group of product which work brilliantly to keep my skin looking and feeling great! 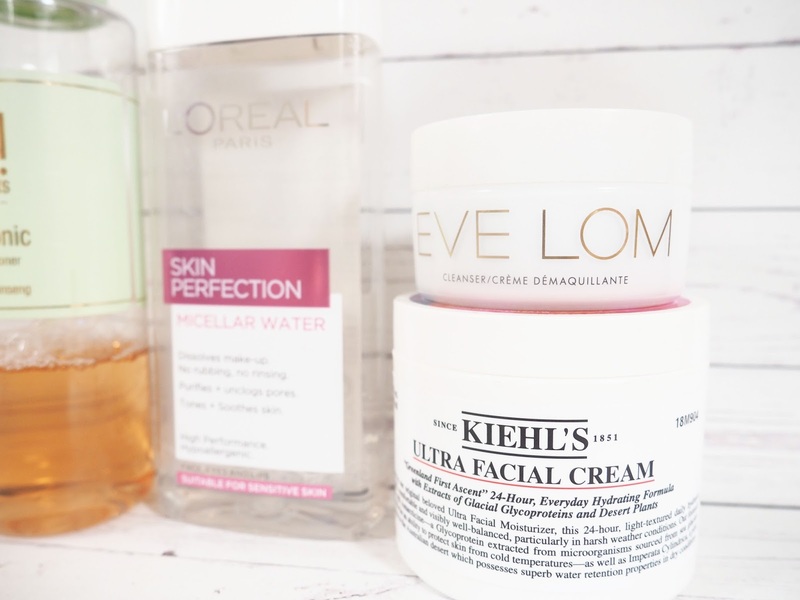 To remove my makeup I use the L'oreal Skin Perfection Micellar Water, this works perfectly to break down my makeup and I much prefer it to using makeup wipes as it's much more gentle on my skin. Next I cleanse my skin with the Eve Lom Cleanser, this is a cleansing balm which makes my skin feel SO clean and soft after I use it. I warm the product up between my fingers and then apply to my face before rinsing off using a muslin cloth. Once I've cleansed, I use a cotton pad and apply the Pixi Glow Tonic all over my face. This works incredibly at fading acne scarring and redness, making skin look glowing! Every week or so, I like to apply a mask to my face. After I fell in love with the Eve Lom Cleanser, I decided to purchase the Rescue Mask too. It makes my skin look so much healthier and I always love applying it! Unlike other masks, it doesn't make my skin feel super tight or uncomfortable and it's really gentle on my sensitive skin. At night I like to apply E45 Cream all over my skin, this is to nourish it and I always wake up with my skin feeling healthy and moisturised. Before applying my makeup I love using the Kiehls Ultra Facial Cream*, this is a light moisturiser however it makes my skin feel nourished and combats my super dry skin. It also makes my skin feel unbelievably soft after applying it and creates a great base before applying my makeup. 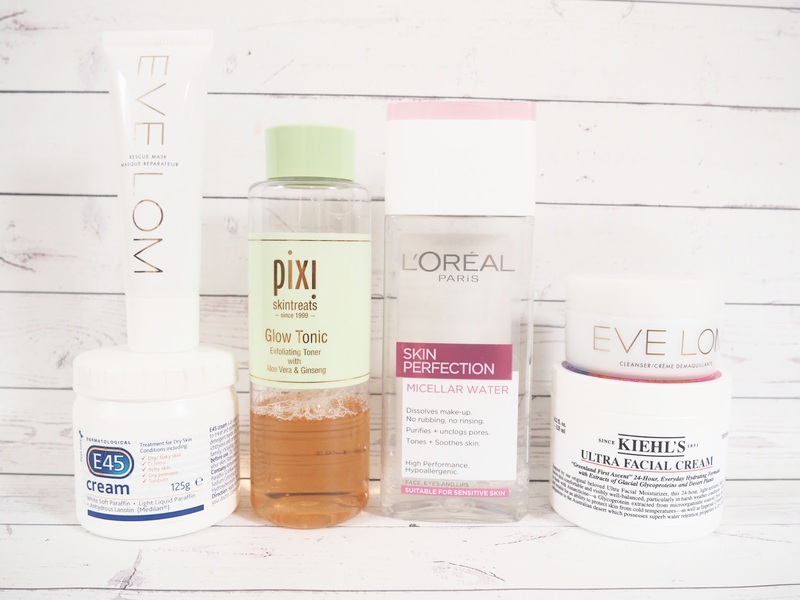 Which products are your skincare saviours?